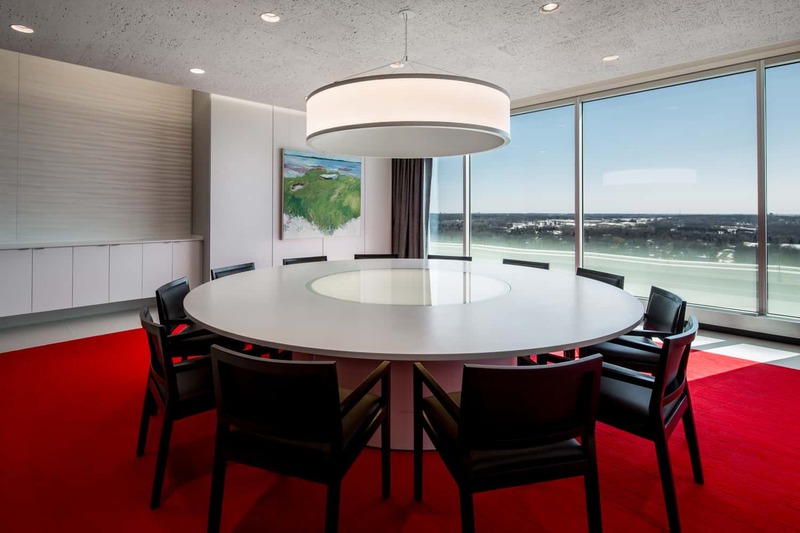 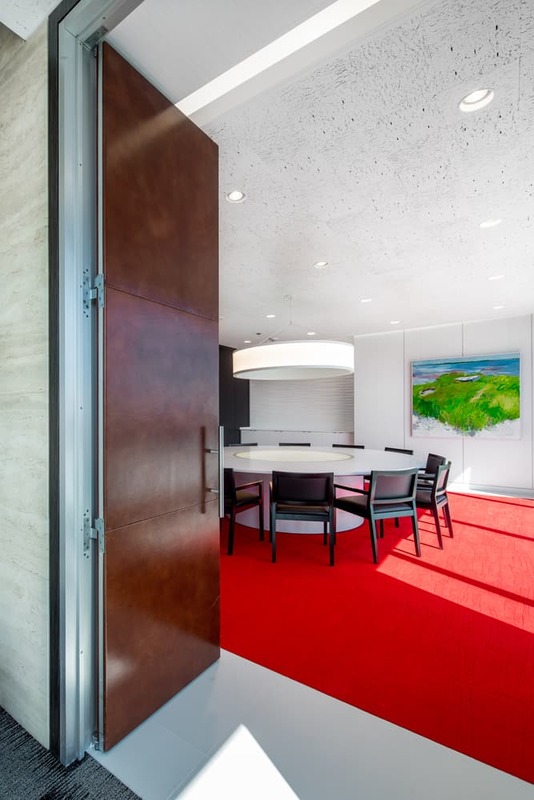 Part of ongoing efforts for the company to refresh and update the look of its headquarters, the strategy for the renovated space was to create a room with unobstructed views and interactions in a more intimate setting. 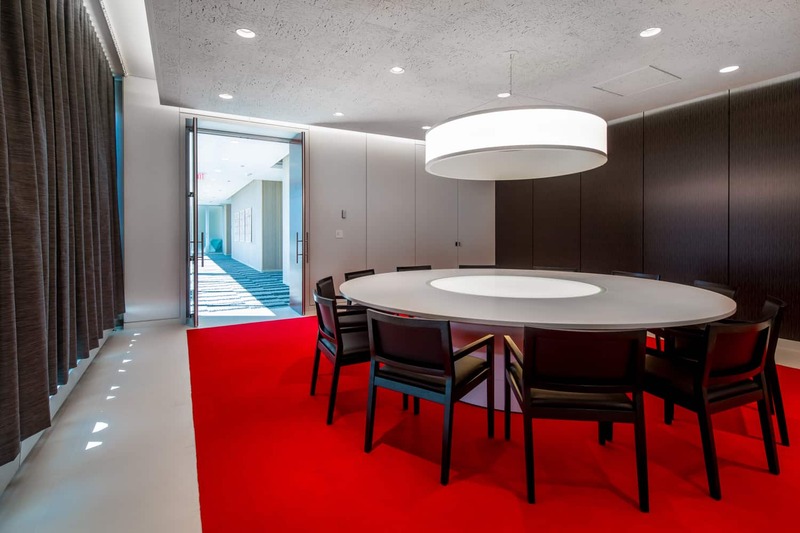 The design features a custom table integrated with products and technology that showcase the company’s innovation and expertise. 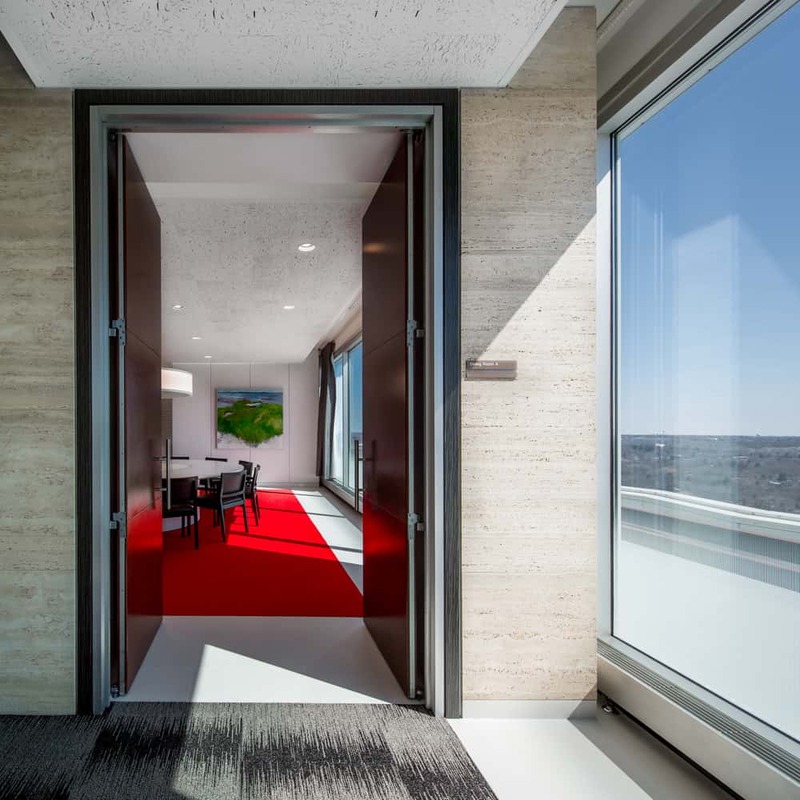 Material updates for the floor continue into the adjoining corridor, with the overall design reflecting the company’s on-going branding and alignment efforts through color, materials, and architectural elements.